Aaron Ramsey and Alexandre Lacazette were on target as Arsenal climbed to third place in the table with a 2-0 win over Newcastle tonight. Ramsey was unlucky to see a goal ruled out in the 23rd minute when the referee adjudged Sokratis had pulled Lejeune’s shirt in the area – even though replay’s showed he had absolutely no view of the incident. However, Rambo did break the deadlock minutes later when he fired home from inside the area and Lacazette wrapped things up with a lovely lobbed finish late in the second half. 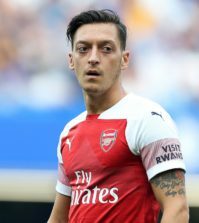 The Frenchman also saw a headed goal harshly ruled out with the referee making a horrendous call to adjudge the Arsenal man had handled – even though it was the Newcastle GOALKEEPER who handled the ball. We still held on to secure a 2-0 win that sees us climb above Manchester United and Tottenham into third place with seven games remaining. Leno 6/10 | Very little to do in terms of shot stopping. Distribution was solid. Maitland-Niles 7/10 | Made some nice overlapping runs down the right and didn’t stop running up and down the pitch all game. Sokratis 6.5/10 | Given a few problems by the physical Rondon in the first half but marshalled the defence well overall. Mustafi 6/10 | A few nervy moments passing out from the back but improved after the break and even entertained the crowd with a slaloming run in the second half. Monreal 6.5/10 | Unlucky to be booked for a perfectly timed tackle and was solid in defence. Kolasinac 6.5/10 | A threat going forward once again but his passing/crossing wasn’t as accurate as we’ve been used to seeing from his this season. Solid at the back. Guendouzi 6/10 | A mixed game. Saw plenty of the ball and was always keen to get involved but passing was sloppy at times. Overshadowed by his team mates. 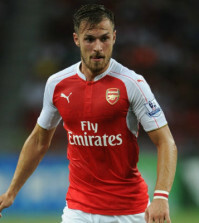 Ramsey 8.5/10 | Best player on the pitch in the first half. Unlucky to see a goal ruled out before opening the scoring with a well placed effort. Covered every blade of grass and was running the show until he limped off midway through the second half. Hopefully it’s not serious. Iwobi 7/10 | Another lively display down the left and linked up well with Kolasinac at times. End product was frustrating at times though. Subbed. 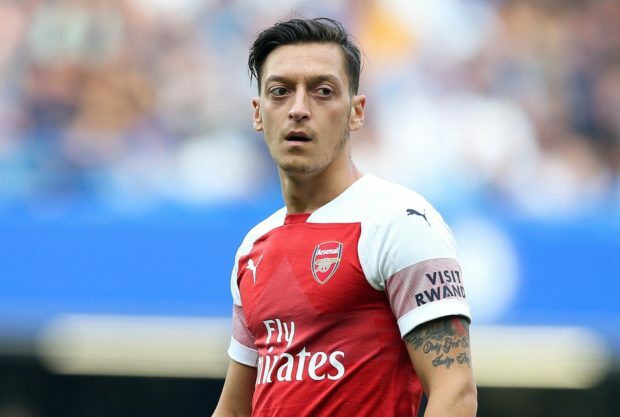 Ozil 8.5/10 | Excellent performance. Some wonderful touches as he linked up well with his team mates and created a number of chances. Really finding some form as we head into the final weeks of the campaign. Worked hard too. 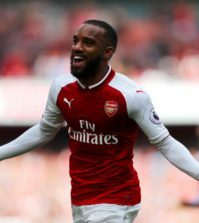 Lacazette 8/10 | Unlucky to see a lovely volley cleared off the line and harshly had a legitimate goal ruled out. However, got the goal his performance deserved with a cheeky lob to make it 2-0. Superb all round play up front. He’s become vital to our play in recent months. Aubameyang 7/10 | Lively cameo. Set up a couple of chances and assisted Lacazette for his goal. Elneny 6/10 | Solid enough when he replaced Ramsey. Mkhitaryan N/A | On too late. This was a top quality performance at times against a well organised Newcastle side. We got the job done and are now in pole position to finish third. Everton away on Sunday is now a huge game.